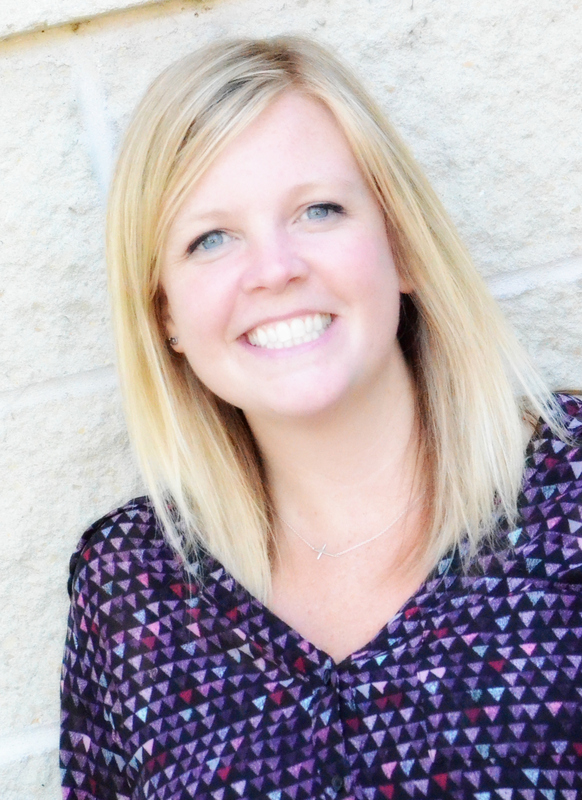 Please welcome Abby Wallin as new Kinship Executive Director eﬀective July 1. Abby has lived in Perham since 2008 with her husband Mike and 6 year old twins, who will attend 1st grade at Heart of Lakes Elementary this fall. Abby is transitioning into the Kinship role from her current role as project manager with Compass Consultants. Abby has been active with Kinship as a board member and activities volunteer so she understands the program and is excited to be stepping into the director role. 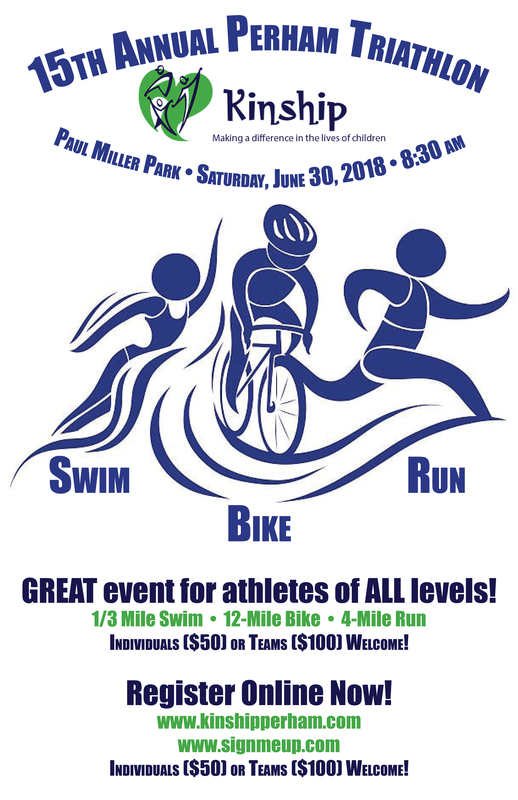 Come Swim, Bike and Run for a GREAT CAUSE!!! 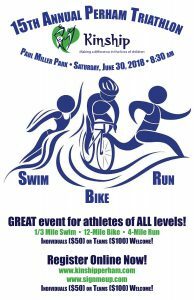 The 15th Annual Perham Triathlon, benefiting Kinship of the Perham Area, will take place on Saturday, June 30 at Paul Miller Park in Perham. Individuals ($50) or Teams ($100) are welcome to participate! You can register by clicking HERE on signmeup.com. 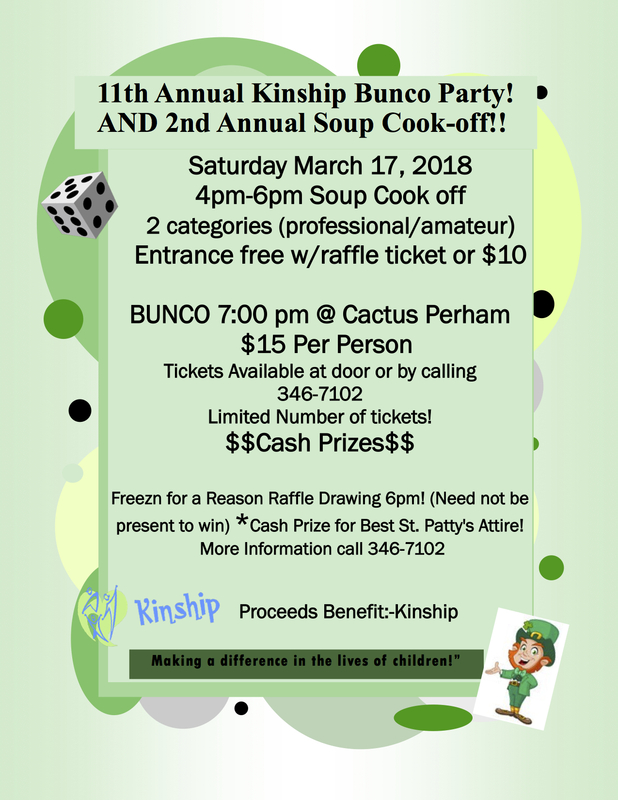 Please join us for Bunco and a Soup Cook-Off on Saturday, March 17 at The Cactus! Kinship of the Perham Area has A LOT going on to kick-off 2018! 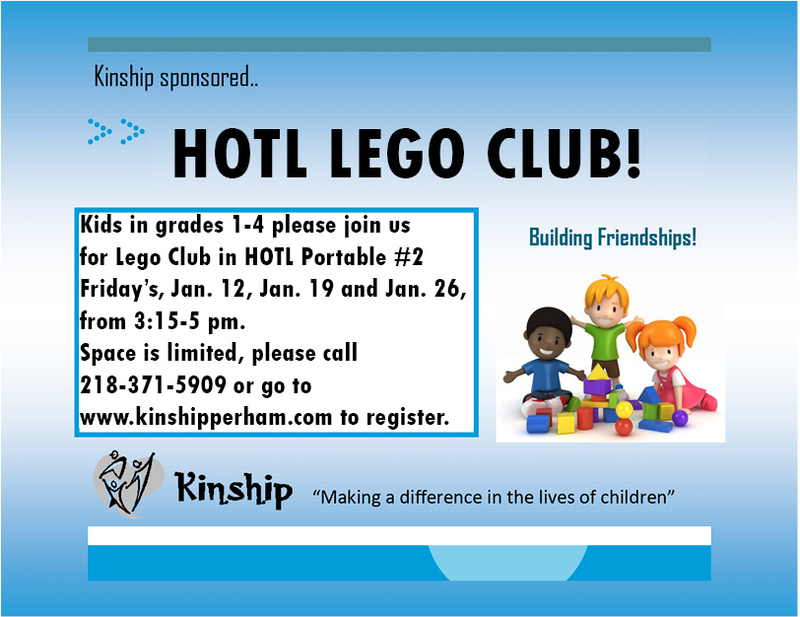 Let’s see if you can keep up, and join us for some fun! 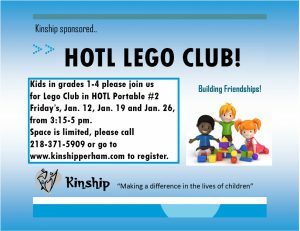 Kinship will host Lego Club for kids in grades 1-4 after school in HOTL Portable #2. 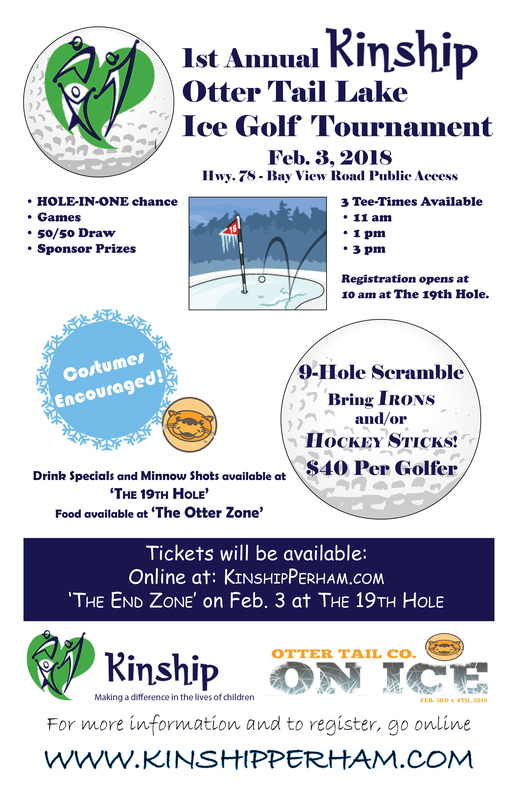 Need something fun to do on Jan. 18? 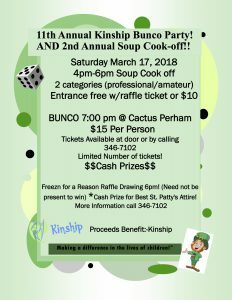 Join Kinship for games and pizza at Calvary Lutheran Church in Perham. 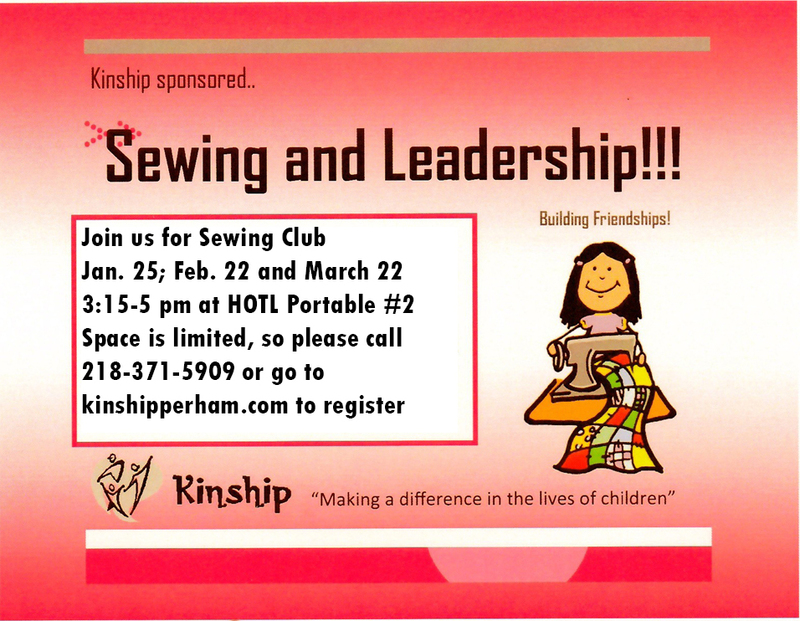 If you want to do some crafts, we will have that too! 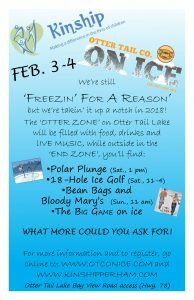 Kinship’s Annual Freezin’ For A Reason is stepping it up a notch in 2018, expanding to 2 weekends and moving their plunge to Otter Tail Lake as part of the 1st Annual Otter Tail On Ice festival. 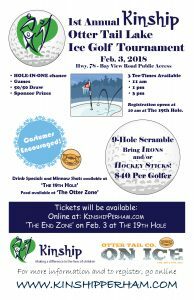 On Super Bowl weekend, Feb. 3-4, 2018, Kinship is setting up on the ice of Otter Tail Lake for 2-days of fun. 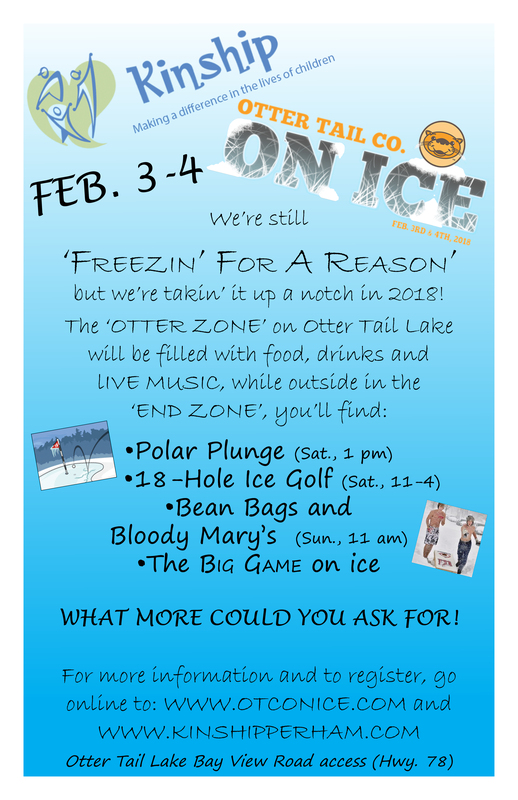 ‘The Otter Zone’ will have plenty to eat and LIVE Music, featuring Aaron Simmons, 32 Below and The Johnny Holm Band. © 2019 Kinship. Website by Arvig® Media.